Eggs. Is there anything they cannot do? From savory to sweet, the egg is the undisputed queen of the kitchen. Without it we have no custard, no quiche or crème caramel, no egg-pasta and no omelets. Without the whites of the egg we have no fluffy meringue preparations, no macarons and no tender cakes (or crispy Dacquoise for that matter). 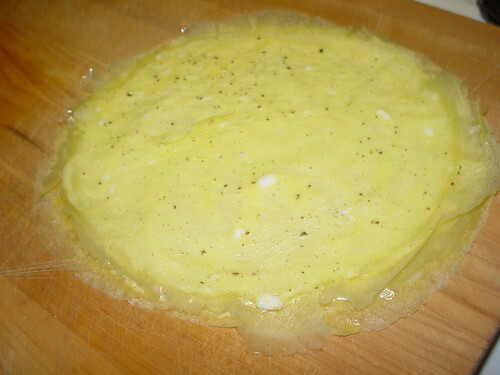 The egg is good fried, poached, boiled, baked or cooked up very thin and made into ribbons. What? You never heard of that last one or maybe you have but never tried it? It is much easier than it looks and it is guaranteed to impress your guests whether you use it in a salad like I do here or sauce it with some butter and cheese and serve it like pasta as a first course. The recipe here is from Jamie Oliver’s latest book “Jamie at Home“. He serves his egg ribbons with Bresaola and Arugula. 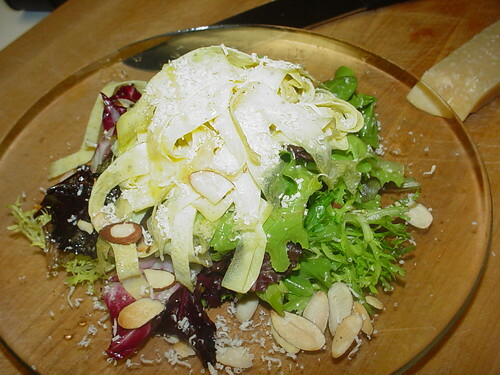 I served them on top of a mixed spring green salad with almonds, Parm cheese and a dressing of olive oil and lemon juice. Making the ribbons could not be easier. 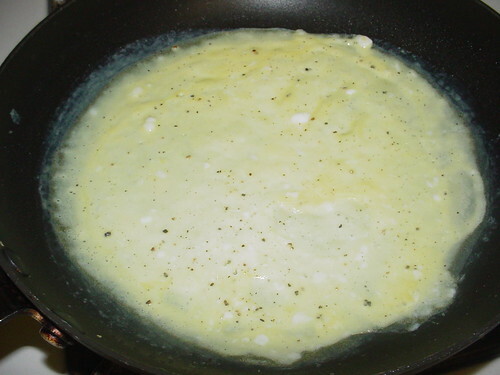 Mix a couple of eggs really well with a tablespoon or two of water, some salt and pepper. 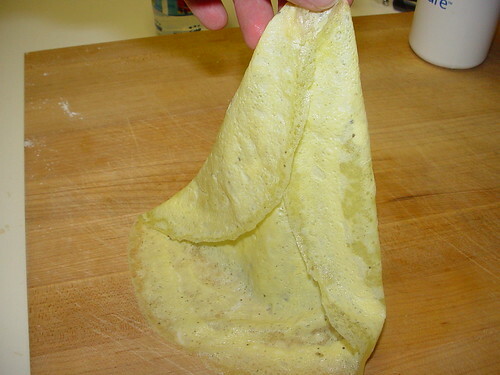 Using a non-stick pan wiped with olive oil make thin crepes of the egg mixture. These cook fast, so keep the heat medium and watch it constantly. Each will take about 30 seconds to a minute to cook and you only have to cook on one side. 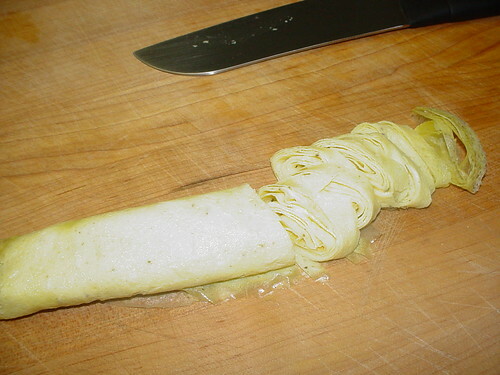 Layer the cooked crepes, roll them up and cut as you would Pappardelle.